After visiting Ruins of St. Paul Church and Monte Fort, it’s about noon time, and it’s time for lunch. On our way back to Central Hotel, we passed through a few open-air street stall (or more commonly known locally as daai paai dawng). But we didn’t eat there, we ate at a small Chinese eatery restaurant instead, as my brother always said “we come to enjoy, so should eat better”. 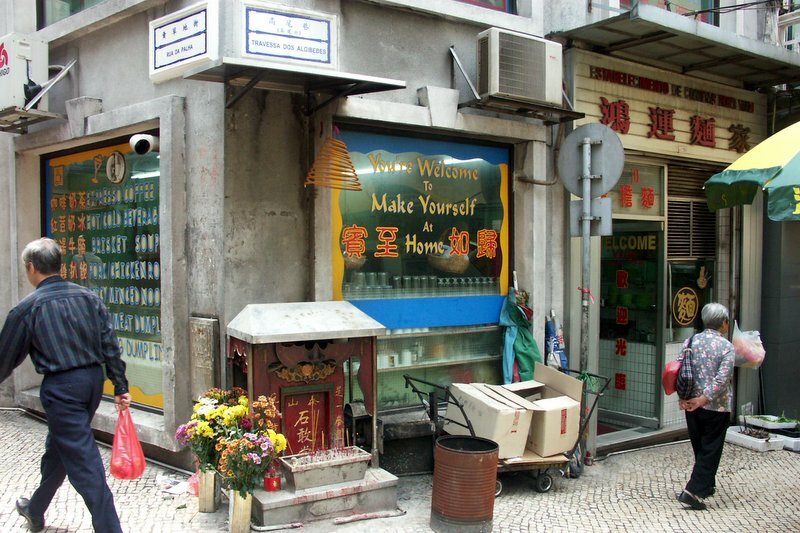 Hong Wan Noddle House (so called if direct translation) is located at the junction of Rua da Palha and Travessa dos Algibebes, pretty close to the main attraction – the ruins. Although it’s called noddle house, but a lot of locals in the restaurant were having a coffee with toasted bread. Monte Fort was built by Jesuits between 1617 and 1626 as part of the College of the Mother of God. The fort was designed to survive a two-year siege with barracks and storehouses, but it never been used as such. 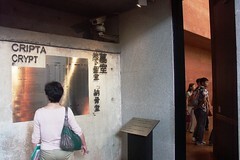 The cannons were fired only once during the aborted attempt by the Dutch to invade Macau in 1622. 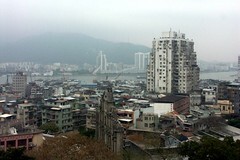 Been to Monte Fort was rewarded with fascinating view of the surrounding of Macau and also neighbouring China. So bring your binoculars. Too bad when we were there, the mist were pretty thick. 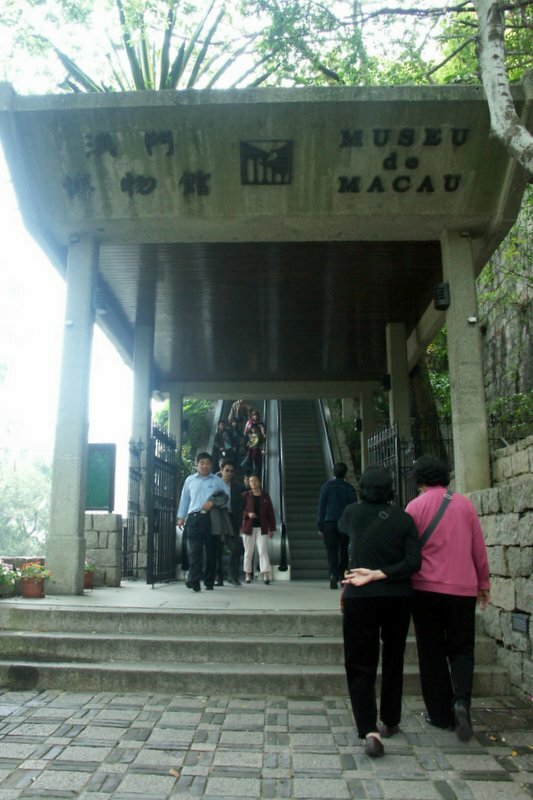 Located at Monte Hill which just right to the east of the Ruins of the Church of St Paul, Macau Museum is easily accessible by a series of escalators. Well, that’s a great idea, saving us some leg energy, especially useful to my parents who are a bit tired. The starting point of the escalator that leads to Macau Museum and Monte Hill. 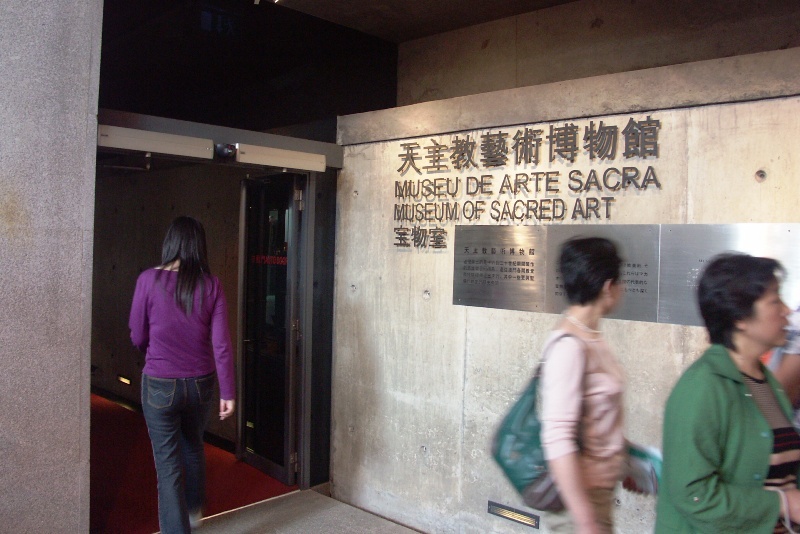 Museum of Sacred Art located at the rear chancel of the Church of Saint Paul in an underground room, displaying an eclectic selection of oil paintings, polychrome carved wooden statues, silver chalices, monstrances, sculptures, liturgical objects and paraphernalia from the churches and monasteries of Macau. Include in the exhibit is a copy of a 17th-century painting depicting the martyrdom of 26 Japanese Christians by crucifixion in Nagasaki in 1597. 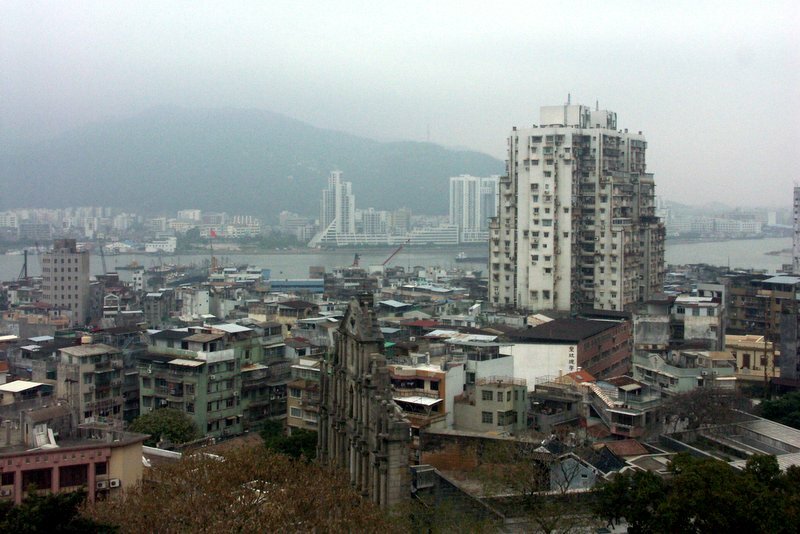 If you mention Ruins of the Church of St Paul (Sao Paulo in Portuguese) in Macau, most likely nobody will ever understand what you mean. Church of St. Paul, a Jesuit church which was built in early 17th century, is more commonly known as Dai Sam Ba locally in Cantonese. The Ruins of the Church of St. Paul is known as Sam Ba Sing Tzik in Cantonese locally. The Ruins of the Church of St Paul is now Macau’s most popular and most famous tourist destination, with its facade as the symbols of Macau. We initially followed the walking tour map for Macau Peninsula, but soon we lost our way as I can’t figured out where were we. So we decided to head straight Dai Sam Ba instead. We asked for direction a few times, and gave me some impression that some Macao Chinese was not so friendly. They simply ignored you, although a lot has been helpful. And with their guide, we finally arrived at the ruins, which, as expected, already has lots of visitors. Sculpture (in front of the ruins) at the foot of the Monte Hill (one of the seven hills of Macau) where Ruins of the Church of St Paul located. 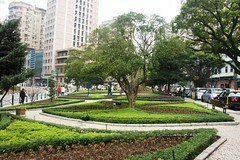 There are plenty of gardens and parks in Macau, big and small. 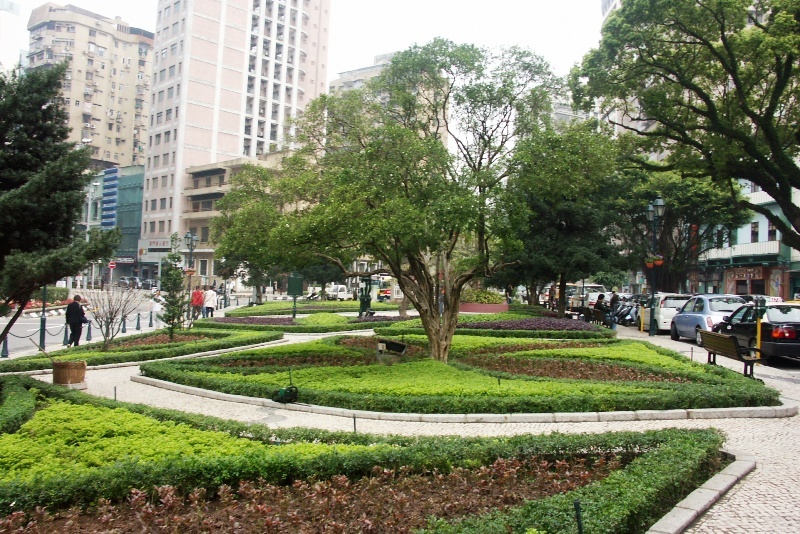 As the convergence of the East and the West, gardens provide all members of the community with relaxation, recreation and relief from the crowded, busy city. 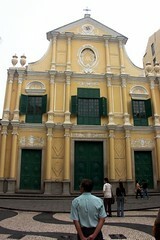 Macau Cathedral is located at Largo da Se, east of Largo do Senado. 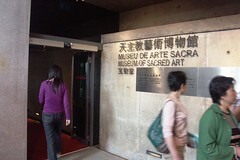 The cathedral that currently stands was consecrated in 1850 to replace an earlier cathedral badly damaged in typhoon. It was then completely rebuilt in 1937. 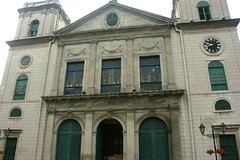 Exterior of Macau Cathedral with some notable stained-glass windows. 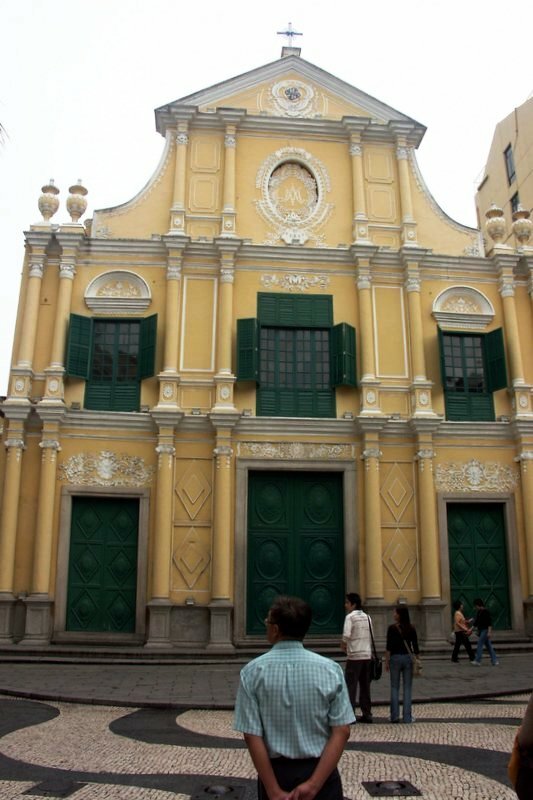 The cathedral is the focal point for most Christian festivals and holy days in Macau. 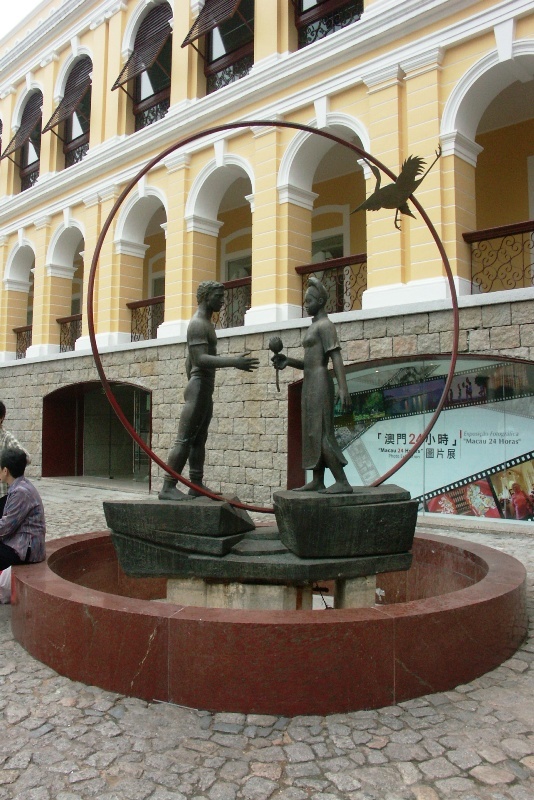 Macau has even been famous for been a shopping paradise compared with its fame in gambling and casino entertainment. 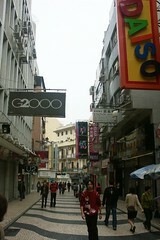 However, if you insists on going on shopping spree in Macau, Central Macau offers plenty of opportunities. Main shopping district in Central Macau all centred around Largo do Senado along Avenida do Infante Dom Henrique and Avenida de Almeida Ribeiro. Other shopping areas include Rua da Palha, Rua do Campo and Rua Pedro Nolasco da Silva. Actually, Macau is pretty small, so most of the places are near to each others. Shop houses around Rua de Sao Domingos, north of Largo do Senado. Here you can find all sorts of shops selling variety of goods, and of course, delicious food and drink stalls. St. Dominic Church is located at right behind Largo do Senado at Largo de Sao Domingos (Dominic’s Square). It was built in early 17th century to replace a chapel built by the Dominicans in the 1590s. It was recently renovated in 1997.